The 2019 Kia Sportage is powered by one of two engines. The first is a 2.4 liter inline four engine. This standard option achieves 181 horsepower and 175-pound-feet of torque. This amount of power is plenty of daily driving and road trips. However, if you want more out of your compact SUV, the 2019 Sportage can come with a 2.0 liter turbocharged inline four engine. This engine achieves up to 240 horsepower and 260-pound-feet of torque for the most exciting performance possible. For a compact SUV, the Kia Sportage earns impressive fuel efficiency for 2019. With the four-wheel drive LX trim level, the Sportage earns 23 miles per gallon (mpg) in the city and 30 mpg on the highway. Meanwhile, the four-wheel drive EX trim level earns 22 mpg in the city and 29 mpg on the highway, and the all-wheel-drive options earn 21 mpg in the city and 25 mpg on the highway. 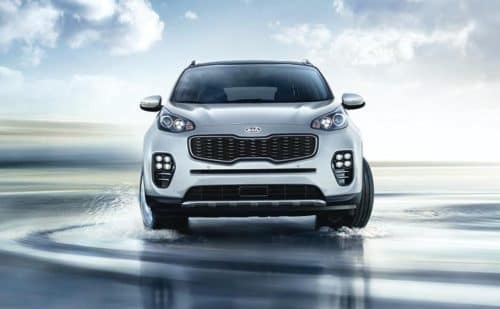 If you select the turbocharged engine, your Sportage can earn 21 mpg in the city and 26 mpg on the highway with four-wheel drive, or 20 mpg in the city and 23 mpg on the highway with all-wheel drive. This fuel efficiency beats out other popular compact SUVs on the market today, making the 2019 Sportage an appealing and affordable choice. The 2019 Kia Sportage comes standard with attractive convenience and entertainment features. For example, the Sportage offers a five-inch touchscreen display and rearview camera, a six-speaker AM/FM/CD player sound system with Bluetooth connectivity and USB input, and sport, normal, and eco-driving modes. 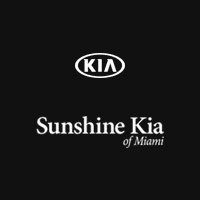 Drive off the lot in the incredible 2019 Kia Sportage by visiting Sunshine Kia of Miami. We are located at 117120 S Dixie Highway in Miami, and we hope to work with you soon!